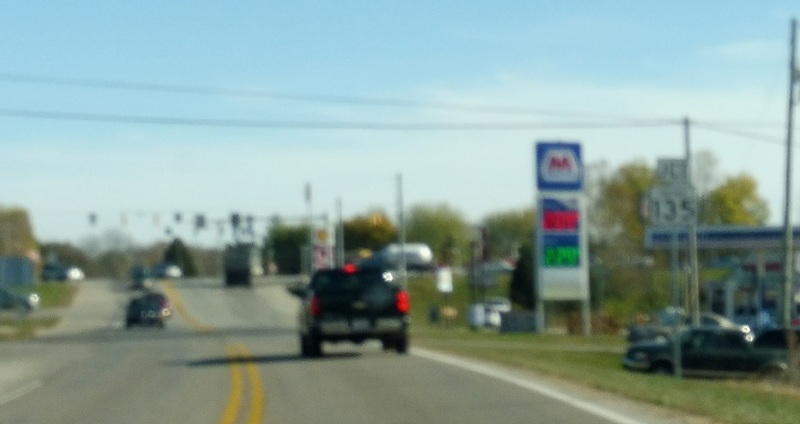 Reassurance shield after SR 462. 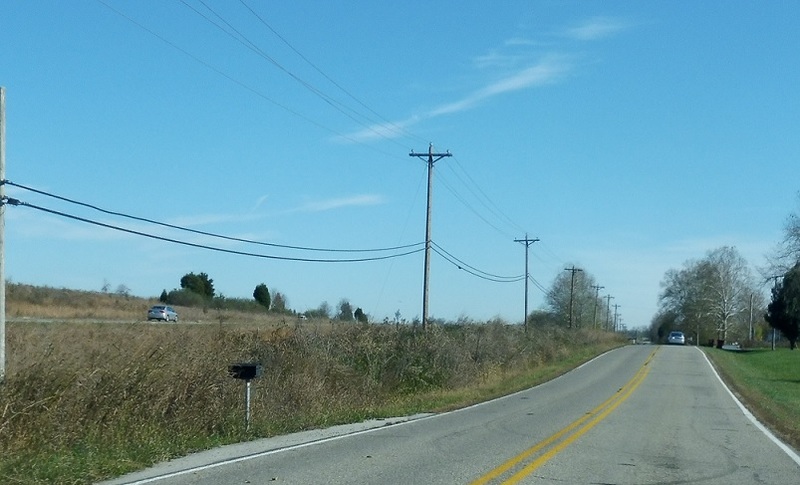 A couple miles later, SR 62 will run directly parallel to I-64, visible to the right. 62 won’t actually cross 64 for about 15 more miles. 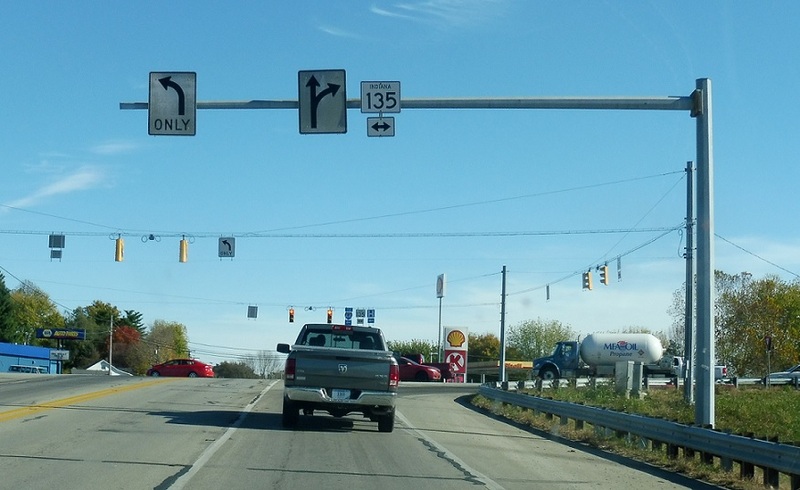 As we approach Corydon, we’ll come to a junction with SR 135. 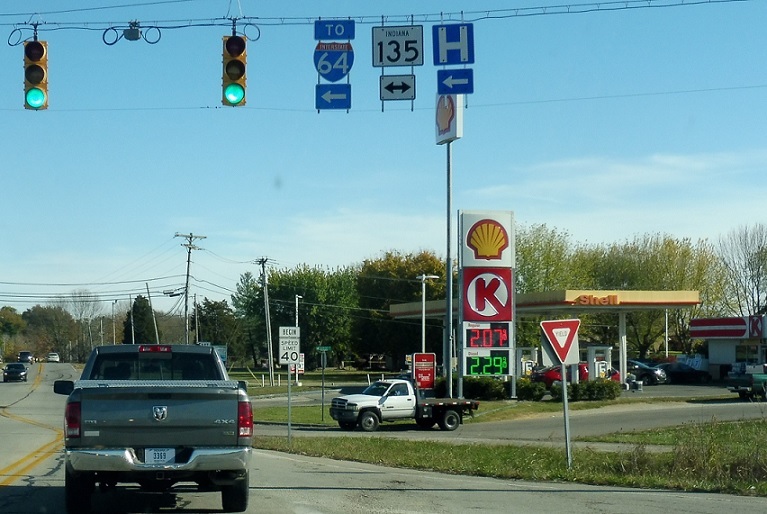 Turn left for 135 north and right for 135 south. 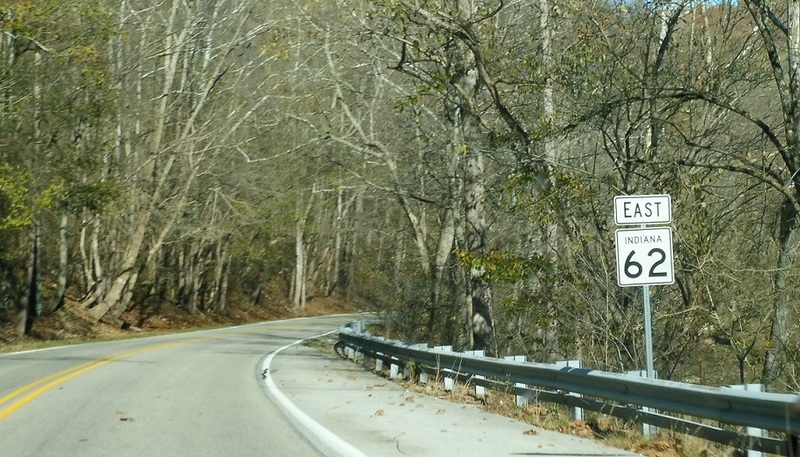 Follow 135 north to I-64.